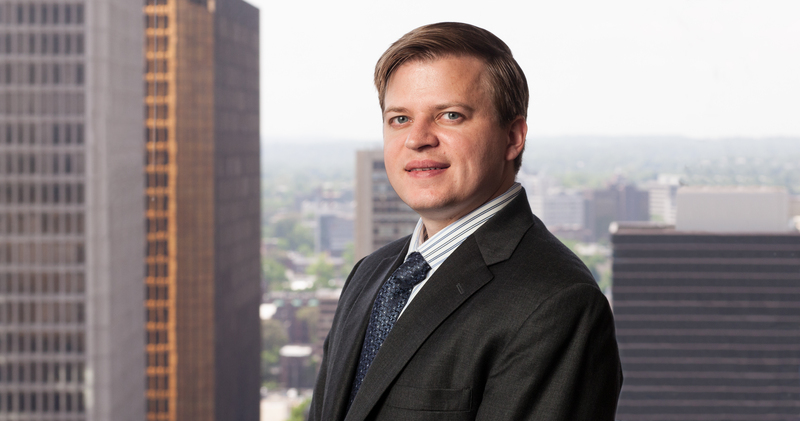 Nicholas Geiger has significant experience litigating patent and trademark infringement matters, as well as false advertising, false marking, trade secret and unfair trade practice matters. He has been involved in all aspects of litigation, including pre-suit investigations, initial pleadings, temporary restraining orders and preliminary injunctions, fact and expert discovery, summary judgment, jury and bench trials, and the negotiation and enforcement of settlement agreements. He has represented clients in a diverse array of industries, including medical devices, pharmaceuticals, petrochemicals, fashion manufacturing and retail, flexible packaging, and database software. In particular, Nicholas has extensive experience managing complex matters and the devising and implementing of strategies to control the scope and cost of voluminous electronic discovery. With President Obama’s anticipated signature, The Defend Trade Secret Act provides the first federal cause of action for trade secret misappropriation. Cantor Colburn attorneys present this white paper to explain further. Pharmaceutical Litigation Chair Steve Coyle will be a panelist at the Paragraph IV Disputes Conference in New York City, April 29-30, 2019. Cantor Colburn has a dedicated Pharmaceutical Practice Group comprised of experienced litigators, Ph.D. chemists, and patent attorneys expert in other supporting technologies. Also attending from Cantor Colburn are Michael Cantor, Andrew Ryan and Nicholas Geiger.